Code Engineered Systems is a Tampa Roofing Contractor. We have been roofing Florida since 1976 and roofing Tampa since 1991. Our roofers and crews are highly skilled and trained to install any type or roof residential or commercial. 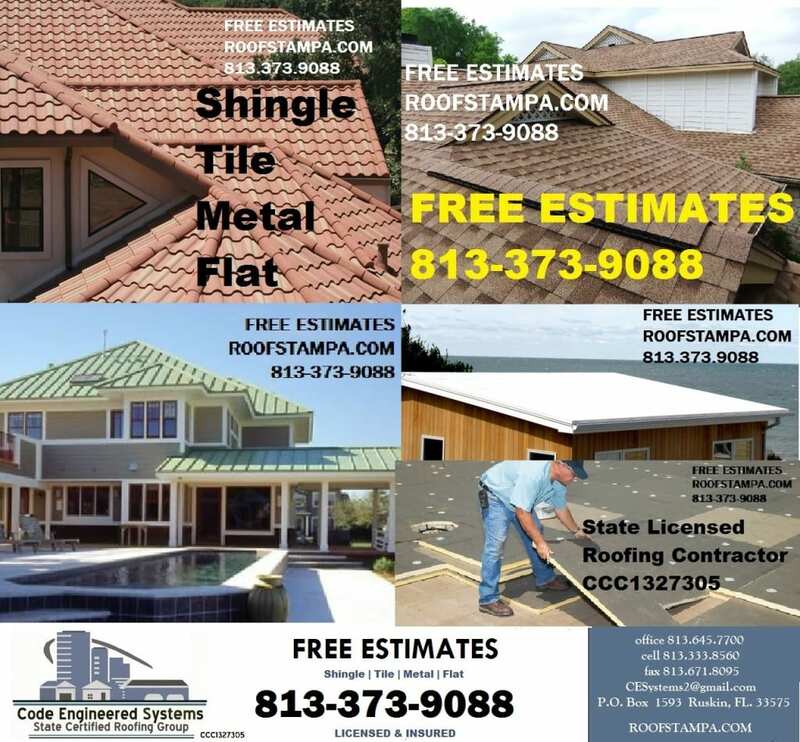 We have roofing crews that specialize in shingle roofs, tile roofs, metal roofs, and all different types of flat roofs.